Children and adults alike have a natural curiosity about sharks. The thought that most often comes to mind when one thinks of sharks is the word "danger!" 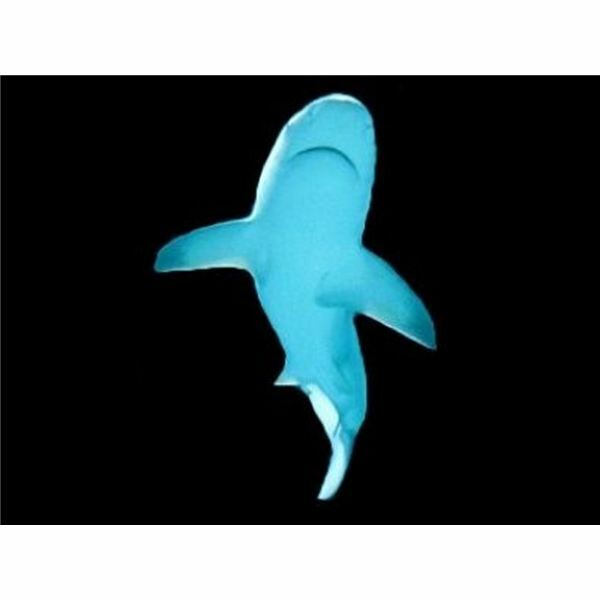 A preschool shark theme is the perfect way for little ones to learn more about these mysterious animals, and begin to appreciate them for more than just their reputation. Sharks are a type of fish – although they are different than the bony fish we usually think of. Sharks typically live in the ocean. There are many different kinds of sharks In fact, there are more than 360 different types. A shark can hear a fish from over a mile away. Scientists can tell how old a tree is by counting the number of rings inside the tree’s trunk. They use a similar method to determine how old a shark is. 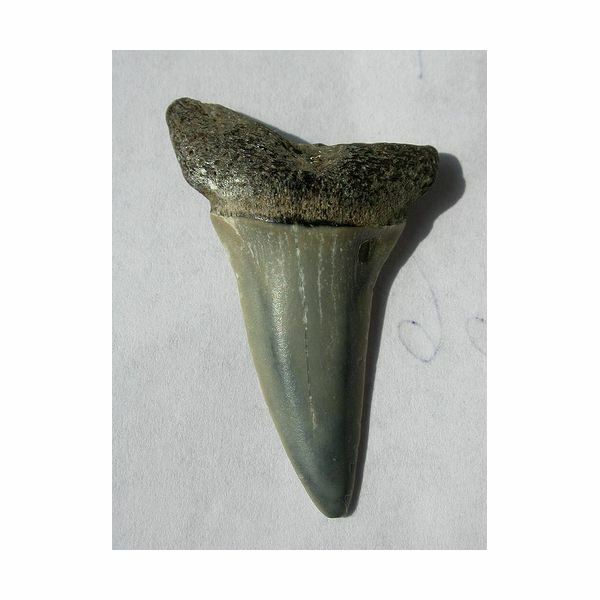 The shark has rings inside its vertebra. Sharks have been around for a long time. They were swimming in the oceans even before the time of the dinosaurs. Sharks can only swim forward. Some types of sharks are no bigger than a person’s hand. Other types of sharks can get to be as big as a school bus! Sharks have lots of big teeth! They can have up to 3,000 teeth at one time. Their teeth are in rows. Sharks like to eat fish, seals, plankton, and sometimes even other sharks. The part of the shark we typically see sticking out of the water in books and movies is called the shark’s "dorsal fin." Story problems are a great way to incorporate your preschool shark theme into math time. Make problem-solving even more fun by using Goldfish crackers as manipulatives and allowing your students to act out the problems on their own to find a solution. There are 5 fish swimming in the ocean. A Hammerhead shark swims by and gobbles up 3 of the fish for lunch. How many fish are left? There were 2 fish in the ocean. 2 more fish swim over to join them. Now how many fish are in the ocean? There were 4 fish swimming in the ocean. A shark swam by and ate 3 of the fish. Now, how many fish are left? There was just 1 fish left, swimming in the ocean. The shark came by and ate the 1 fish. Now, how many fish are left? 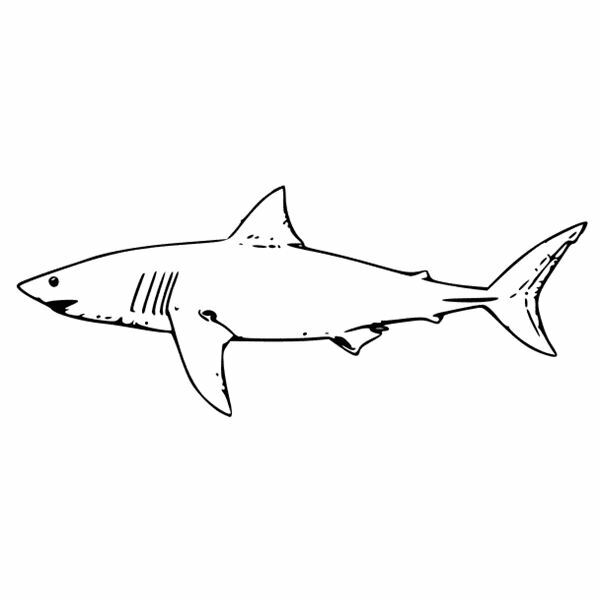 Children can create their own, homemade puzzle by coloring the shark picture shown below. Have students cut the picture out and glue it to a piece of blue construction paper – to resemble the ocean. Laminate the entire thing, to make it sturdier. Next, have the preschoolers cut their pictures into four pieces. 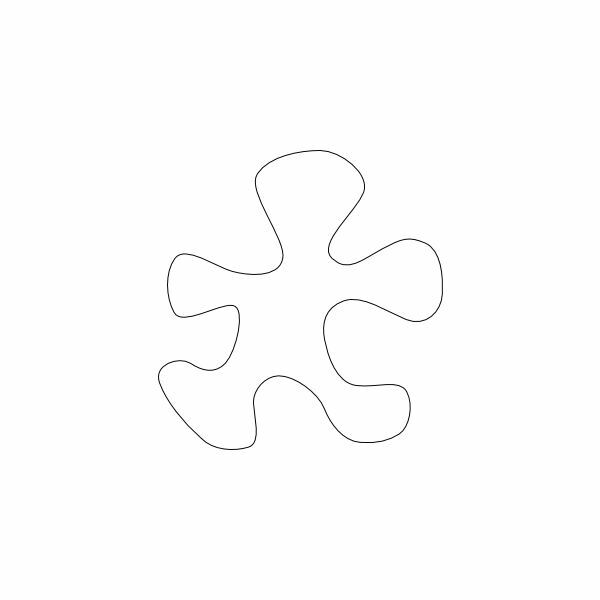 For children needing extra help with scissor skills, you may want to consider using a Sharpie marker to draw cutting lines. Mix up the pieces and the children can have fun putting their shark puzzles back together again! They can even trade with a friend. Extend your learning during outdoor play time. The game Sharks and Minnows will surely become a classroom favorite! The ideas for a preschool shark theme in this article may be used alone, or in conjunction with an ocean theme. Either way, your students will have fun learning more about sharks. If you have shark theme ideas which are appropriate for preschool-aged students, feel free to leave them in the comments section below.